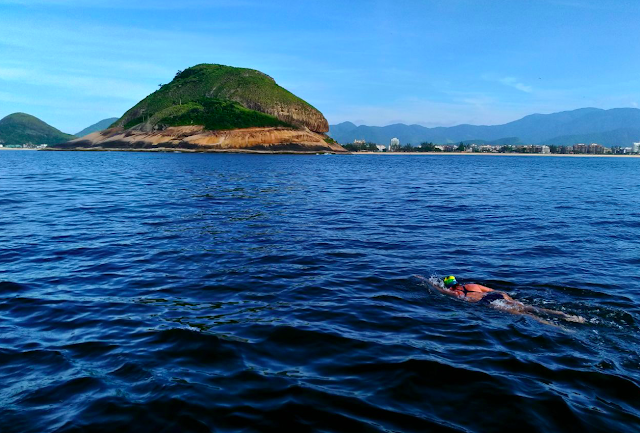 On January 22nd only a day after arriving in Brazil, Alessandra Rossi Cima ignored any jetlag and travel fatigue she had and set off on her attempt of the 35 km Travessia do Leme ao Pontal. 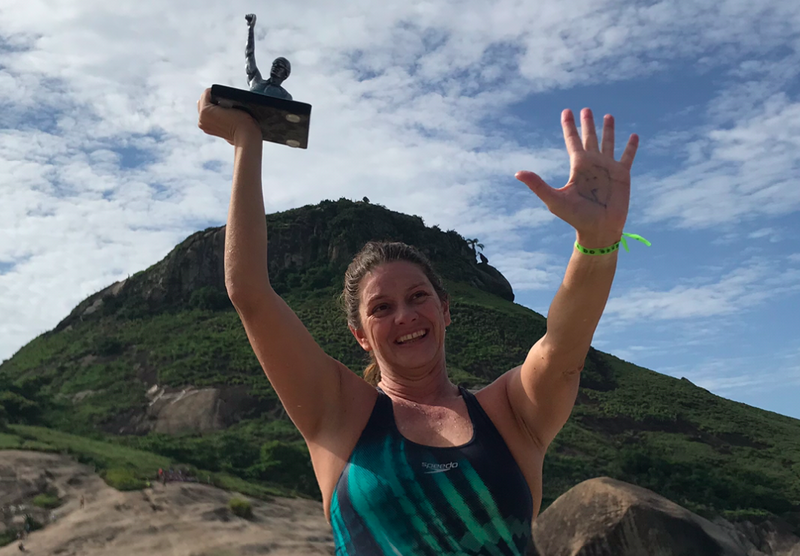 In short order, the 42-year-old Brazilian set women's record without neoprene in 9 hours 56 minutes 52 seconds in an eventful crossing along the coast of Rio de Janeiro. She resides in Dubai and flew into Rio de Janeiro after a long flight on the 21st. She got right down to business. The next day she left at 11:30 pm and quickly had to overcome the turbulence and undulations of the Atlantic Ocean along the stretches of Leme and Copacabana beaches. 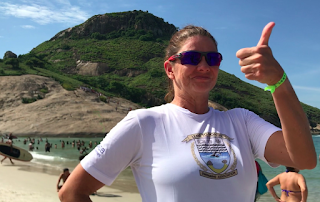 Adherbal de Oliveira reported, "The conditions of the sea improved when Alessandra entered the section of the beach of São Conrado. The water was comfortable at 27°C (80°F) and the wind and swells were also favorable to a fast swim. But when she swam along the section of Barra da Tijuca, marine adversity would return. Along the beaches of Barra da Tijuca and Recreio dos Bandeirantes, there were a lot of jellyfish. 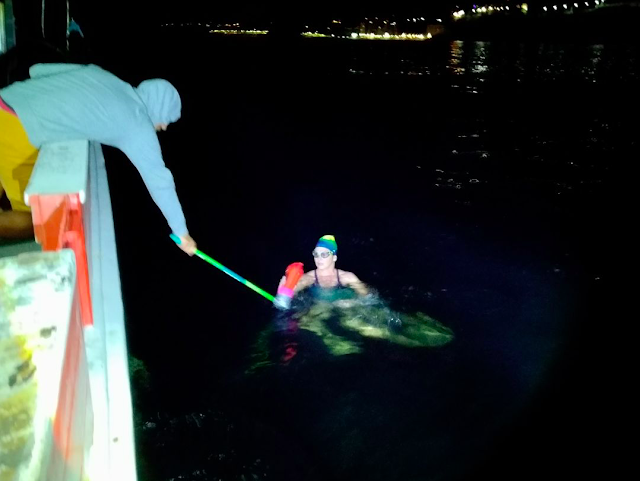 Despite getting repeatedly stung by the jellyfish, she remained focused and determined on the final stretch of the swim. 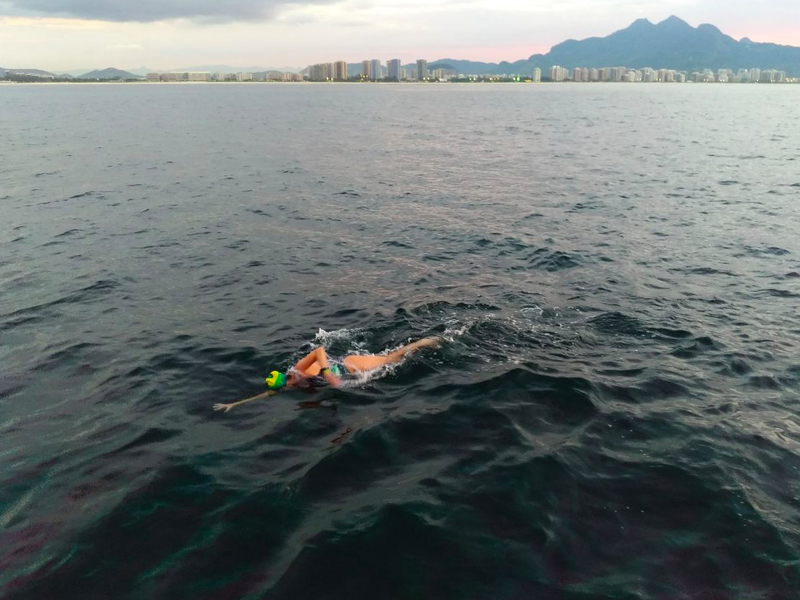 But the course also provided beauty such as swimming at night with the view of the Rio de Janeiro along the shore in the midst of the surface plankton, seeing the statue of Christ Redeemer from a unique angle, and viewing a beautiful sunrise. Upon arriving at Pontal beach and raising her right arm, Alessandra received the Leme to Pontal Swimming Association trophy as the 13th swimmer in history to complete the swim." It was a good start to a year in which she will also attempt an English Channel crossing. Those interested can access the Leme to Pontal Swimming Association at www.swimlpsa.com.br and request registration from secretary@swimlpsa.com.br.